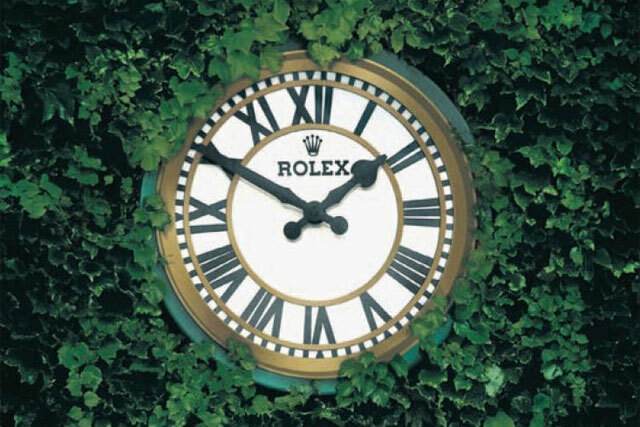 Rolex, the luxury watch brand, has topped the Consumer Superbrands 2012 index for the first time, leaving Coca-Cola and Google at second and third place, respectively. The annual consumer brands survey lists the top 500 consumer and B2B brands in the UK. The brands are chosen from an independent survey of more than 2,000 people, administered by The Centre for Brand Analysis. Microsoft has plummeted out of the top 10 this year, from number six in 2010 to number 45 in this year's chart. The company's rival Apple has also dropped out of the top 10, falling nine places from ninth position to number 18. Mercedes-Benz has fallen from first to fourth place, while Coca-Cola and Google have both crept up two places to secure their position in the top three. British retailer John Lewis, which sat just outside the top 20 last year, has climbed eight places to sit at 13, while Marks & Spencer has remained inside the first 20 places but has dropped from 11 to 17. The BBC remains in the top five of the Superbrands index for the sixth year in a row, though it has slipped from third to fifth position. Social network Facebook has beaten Twitter by entering the top 100 at number 35, after not featuring in the index last year. Stephen Cheliotis, chairman of Superbrands Expect Council, said: "It is notable that in these difficult times, we are reaffirming our faith in many traditional British brands. "A Superbrand is one which constantly delivers excellence and quality, and this year's consumer poll reflects this. "Both the British and international brands included in the official 2012 list are recognised both for their rich heritage and also their continued influence on today’s consumers." To see the top 100 Superbrands of 2012, click here or view the top 50 at a glance below.